At Finca Las Manillas we are sure that the oil tourism experience in our facilities will pleasantly surprise travellers who will be looked after by professionals in our facilities which are completely adapted to suit all visitor. 1. Visit our olive grove next to the press, where the olive harvesting process will be explained and visitors can take part in it. 2. Later, the fruit is transferred to the press where we will learn about the history of our company and the process involved in making our olive oils. 3. Visitors can take part in the pressing of the olives they have harvested, taking home a bottle of pressed extra virgin olive oil with a personalised label as a gift. We are in an area interspersed with olive groves and meadows which makes the landscape rather unique and this, combined with the nearby reservoirs and the geography of the area, will make this experience an unforgettable day out. It is a unique setting where you can enjoy different walks through the countryside to learn about the characteristics of olive cultivation and the actions that are being taken at that moment to care for the trees, enjoying the countryside around Finca Las Manillas. The purpose of our oil school is to instil healthy eating habits in children, with the leading role being played by extra virgin olive oil, a cornerstone of our Mediterranean diet. There will be an introduction to olive oil tasting, with an explanation on how to identify the main characteristics of the different varieties. At Finca Las Manillas we offer a tasting of our products, including a guided visit to the press where we will explain the process involved in making our extra virgin olive oils. There will also be an introduction to the tasting and classification of olive oils. 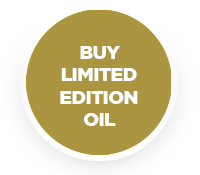 Finally, there will be a paired tasting of our products and the visitor will take home a gift of our Premium oil. You can sponsor an olive tree and receive the oil from the olives harvested from it each year, always of the highest quality. The sponsor will be able to add a plaque with the name of their choosing, they will receive information about how that tree is being looked after and will be able to visit it once a year.